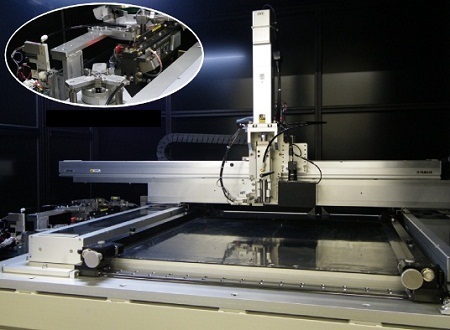 With increased use of high performance parts on PCB, heat generation increases and counter-measure for heat dissipation become more important in order to maintain product performance and its life. Also, miniaturization of parts makes it difficult to get natural heat dissipation from parts themselves. We need to design PCB to create heat escape through PCB circuit path. 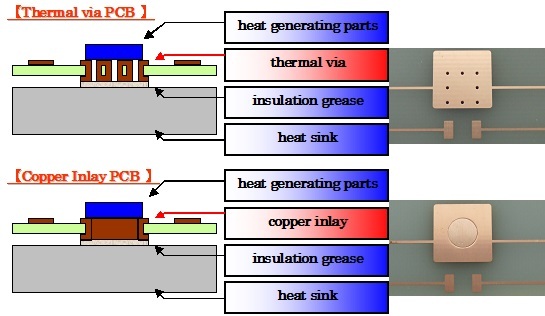 Conventional PCB can't solve such heat problem.PCB with thermal via also has limitation to solve the heat problem. We offer "Copper Inlay PCB" which can get efficient heat dissipation by pressing copper into the board right under heat generating components. It is possible to exhaust heat efficiently by pressing in copper right under the heat generating components. Implementation of cost effective solution for heat dissipation. 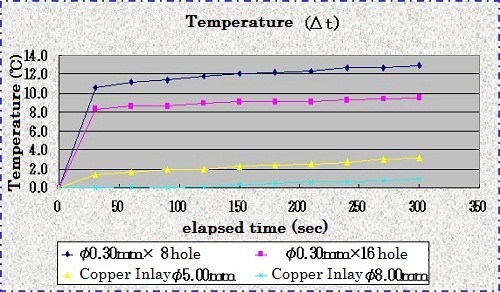 Reliability of solder connecting part will improve because linear expansion coefficient of copper is lower than that of Aluminum of aluminum heat sink. More flexible design is possible because we can use high multi layer and both sided board PCB compared with Aluminum based board or heat sink. 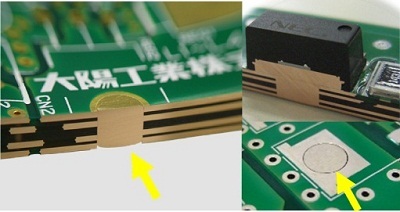 *Board thickness will be more than 1.2mm if inlay diameter is over 6φ. We can enable mass production by developing auto machine. Prepare a line of copper chips, and press head picks up and moves copper chips, and press in chips into designated holes. All rights reserved, Copyright 2007(c)TAIYO KOGYO.CO.,LTD.